Free to Choose: My father had this on his bookshelf, and it’s the first serious book I read about public policy, probably in my sophomore year of high school. In retrospect, I think that Capitalism and Freedom is a better and more important book, but I didn’t read it until later and so it didn’t influence me personally as much. The Virtue of Selfishness: I’m using this as a stand-in for the entire Ayn Rand canon. I read almost all of Rand’s published work my last two years of high school and it had a huge influence on how I looked at the world. I never called myself an Objectivist, but in my freshman philosophy class I was that annoying kid who’d raise his hand at every opportunity to push the Objectivist line on whatever topic was being discussed. I spent my college years un-learning some of the bad intellectual habits I picked up from Rand, and at this point I have a love-hate relationship with her work. On the one hand, she was a deeply intolerant woman with a painfully cramped view of the world. 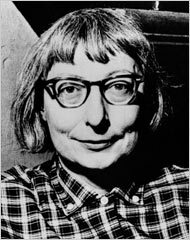 On the other hand, she had an incredible talent for writing fiction that dramatized the importance of freedom and individualism. Philosophy and Social Hope: I first heard about Rorty from a recovering Objectivist acquaintance who found it a useful antidote to Rand’s dogmatism. Rorty is a pragmatist. Rorty’s major effect on me (like Matt) was to convince me that I should take philosophy less seriously, because many of the “deep” philosophical problems we wrestle with in college are rooted in clever word games more than real puzzles about the nature of the universe. This is also the only book on my list that I didn’t actually finish. It’s broken into three roughly equal pieces. The first third, which lays out Rorty’s key ideas, had a huge effect on my thinking.The middle third involved literary criticism of writers I’d never heard of, and I wound up skipping most of it. The final part was Rorty’s application of his ideas to contemporary politics, which I found cartoonish (For example, it includes a “looking backwards” essay from 2096 analogizing high executive pay with slavery). Later, when I was living with Julian, I borrowed his copy of Contingency, Irony, and Solidarity, which I discovered does a much better job of laying out Rorty’s key ideas in a clear and approachable fashion with a lot less baggage. So if you’re going to read some Rorty, I would encourage you to start there. 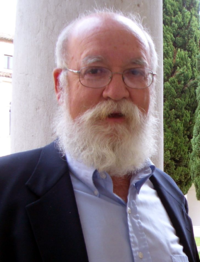 Freedom Evolves: Dennett made me comfortable with the evolutionary account of the mind. I still rely on his analytical framework when thinking about the subject. In particular, Dennett’s discussion of the “Cartesian Theater” convinced me that many of the objections to materialist explanations for consciousness are the result of confusions introduced by early theories about the nature of the mind rather than serious challenges to evolutionary biology. Free Culture: I was already an activist for copyright reform before Lessig published Free Culture. But Lessig persuaded me that the fights over the DMCA and the CTEA were two skirmishes in a larger cultural fight about creativity and freedom. I also regard Lessig as a role model for my own writing about public policy. In Free Culture he does a brilliant job of weaving engaging stories about individuals together to form a compelling policy argument. The Constitution of Liberty I read a lot of libertarian books in my early 20s, and I learned a lot from them. But I wouldn’t say most of them influenced me very much because most of them just confirmed beliefs I already held. Two things set The Constitution of Liberty apart. 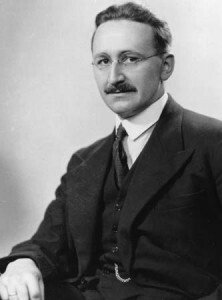 First, Hayek thinks more deeply than any other libertarian I’ve read about the nature of individual rights and coercion. This allows him to provide a strong argument for limited government without the question-begging reliance on the non-aggression axiom employed by Rand and Rothbard. Second, Hayek has a much richer understanding of the history of liberal ideas than anyone else I’ve read. 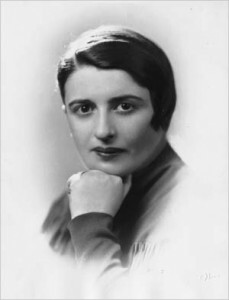 Ayn Rand believed (more or less literally) that her ideas were wholly original to herself. Hayek acknowledged that he stood on the shoulders of four centuries of liberal giants, and he explained who they were. I’ve read Constitution of Liberty three of four times, and each time I feel like I gain more insight from it. Hackers and Painters: I’m cheating a little bit because what actually influenced me was reading Paul Graham’s essays over the last 8 years or so. Probably my favorite single essay is “Why Nerds are Unpopular”, which resonated with my own experience as a high school nerd. But the more important contribution to my thinking is the series of essays I’ve featured in past posts, which explores why innovative ideas so often come from startups. I think his arguments have broad implications, and part of what I’m doing with this blog is trying to figure out the broader implications of Graham’s arguments in this area. The Mystery of Capital: Hernando de Soto won the Friedman Prize in 2004, and it was well-deserved. The Mystery of Capital is ostensibly a book about fighting poverty in the contemporary developing world, but I think it’s really a book about the institutional foundations of the free market. In particular, the section on the evolution of American property law profoundly shaped my own thinking on the nature of property rights. The Death and Life of Great American Cities: I’ve got a forthcoming series of blog posts talking about Jacobs’s ideas in detail, so at this point I’ll just say that this is probably the only book I’ve read that’s had a big influence on me both intellectually and in my everyday life. When we were looking at apartments in Philadelphia, Jacobs’ observations about what makes urban neighborhoods work (including high density) powerfully influenced the South Philly neighborhood we chose. Here Comes Everybody: Published in 2008, this is Clay Shirky’s instant classic about how the Internet is transforming our society. As with Graham, I was being influenced by Shirky online long before he wrote his first book. It’s depressing how often I write something about the Internet and then realize that I’m paraphrasing an argument Shirky first made a decade ago. No, there’s no fiction on the list. Yes, that’s probably a character flaw on my part. Yeah the lack of fiction isn’t unique to your list — beyond some Rand and two or three others on Will’s list (Dune ftw! ), non-fiction is dominating these lists. I’ve always felt that novels are often at least as relevant and instructive as non-fiction (although you’ve got me checking out the used book stores in town for Halberstam now). My list would definitely have to include To Kill a Mockingbird from my early middle school years, and Zen and the Art of Motorcycle Maintenance and its companion Lila. Throw in a nod to Rand, and I’d probably have to pick something from Asimov/Clarke/Heinlein as well. This is an impressive list with enlightening and honest annotation. I like how you handled Rand’s excesses. And the Rorty stuff explains a lot about your intellectual openness and spirit.